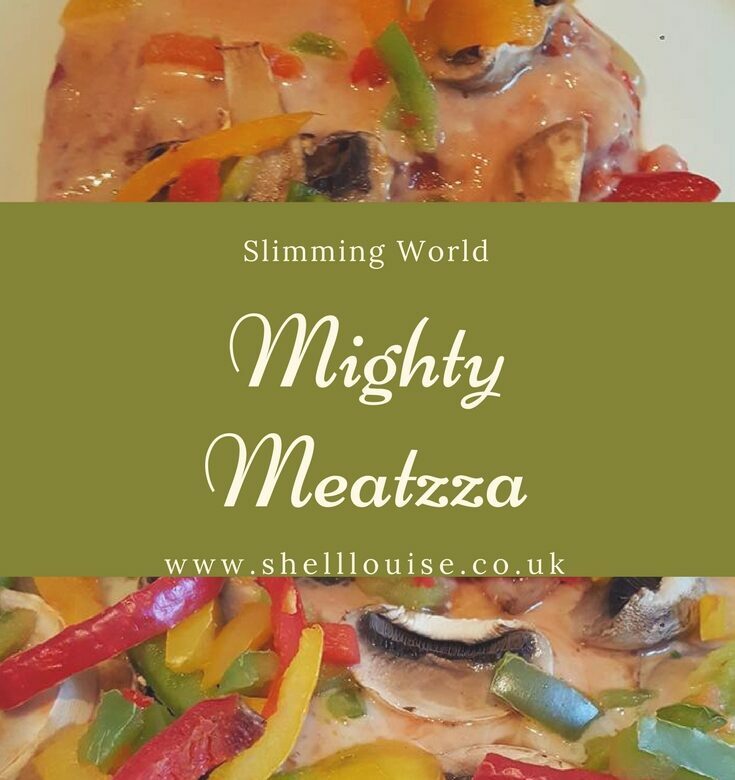 Ant made this meatzza using the recipe in the Slimming World Free Food Feasts cookbook. The amounts given for the topping can easily be halved as there were lots of the vegetables and sauce leftover. These were used in other meals so they didn’t go to waste but just be aware if you make this, you may not need as much as it states. I had it cold a few days later and it was just as nice as when it’s hot. Put the garlic, onion, passata, tomato puree, sweetener and chilli flakes in a saucepan and bring to the boil over a high heat. Turn the heat down to medium, stir in the basil, season to taste and simmer for 20-25 minutes or until thickened, stirring occasionally. Remove from the heat and set aside. Meanwhile, line a heavy-based 25cm pizza tin with non-stick baking parchment. Put all the ingredients for the base into a large bowl, season to taste and mix well using your fingers. Press the mixture into the prepared tin to make a flat round base and bake for 12-15 minutes. Remove the base from the oven and drain off any liquid. Increase the oven temperature to 220°C/Fan 200°C/Gas 7. Spread the passata mixture over the base, add dollops of cottage cheese and scatter over the mushrooms and peppers. Return the pizza to the oven and cook for 8-10 minutes or untilt he topping is lightly browned and bubbling. Scatter over the basil leaves, cut into wedges and serve.